Liberty Con has come and gone. It was my first Liberty Con and I had the unique experience of being both a panelist/author, a “First Timer”, and also shepherding around my one year old son. I don’t think I saw nearly as much of the event as I would have liked, but I managed to make it everywhere I was supposed to, more or less awake (the latter part being particularly difficult with a teething one year old). For those who are fans of Baen authors, this is an amazing convention to attend. For those who just like military SF and Space Opera… well, this is still a great convention to attend. You pretty much can’t throw a rock there without hitting a Mil SF author in the side of the head. It is also a very social convention. Every area seemed to have old friends and new acquaintances chatting each other up. It’s a great place to meet new people, network (for authors, artists, and publishers), and generally have a fun time. 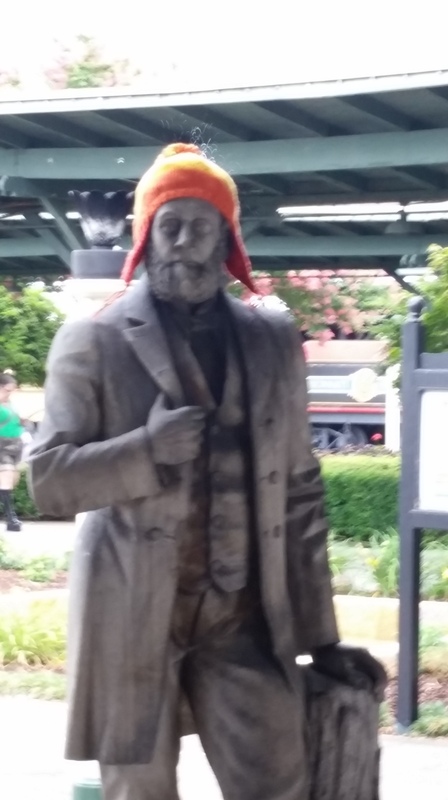 I met a few new and interesting people there and I think I learned a good deal too. I had the pleasure of meeting fellow Henchman Press author, Mark Wandrey. I had a great chat with Chris Kennedy about some of his techniques to stay in contact with readers and build a good network. Lastly, I think I made a great friend with Terry Maggert, who also looks to be a fantastic author and is a charming individual. Links below for their works and websites. Trust me, you should check them out. Mark Wandrey just released the newest book in his ongoing Mil SF series: Etude to War. Mark is an awesome guy and if you’re a fan of military SF, he’s writing a truly epic series. Chris Kennedy writes a variety of books and his current best-seller, Janissaries, looks to be amazing. Terry Maggert not only has amazing cover art but he has an awesome take on contemporary/post apocalyptic fantasy as well as epic fantasy. I’m excited to have a copy of his book, Banshee, to read. I met a lot of other great people at Liberty Con, though I’m afraid that child-imposed sleep deprivation has robbed me of many of their names. It was a great time and I’m already planning on returning next year. From what I understand, they’ve capped membership again and they’ve already sold over three hundred of their seven hundred and fifty total memberships, so if you want to be there next year, you should hurry up and get yours soon. Ten years ago, after her parents’ deaths in a terrorist attack, Melanie Armstrong walked away from a military officer’s career to raise her orphaned brother. Since then she’s been captain of a tramp freighter – shuffling from world to world, scraping to barely get by, but content that she’s made the right decision. But when her ship crashes, authorities make her an offer: take a fifteen-year sentence on a prison world where the average lifespan is a third of that… or stop an ancient and until-now forgotten robotic warship, the Fenris, from completing its hundred-year-old mission to kill millions of people and destroy a planet. My latest novel, Fenris Unchained, is now available on Amazon and Smashwords. Here’s the first sample section from Fenris Unchained. Time: 0815 Local, 01 June 291 G.D.
A yellow light began to flash on the control board. That was nothing new, not aboard the Kip Thorne. Warning lights lit up half the panel. It was a Christmas display of yellow caution lights, flashing priority lights, and red danger lights that gave the board an aspect of impending doom. The pilot didn’t look over to the panel to see what was wrong. One of the red lights indicated a malfunction in the auto-pilot system. That meant that the tall, blond woman had to bring the Kip Thorne down by hand. Not a difficult a task for an experienced pilot. She enjoyed flying, enjoyed it more than anything else, really. She didn’t enjoy thirty six hours of flight time spent awake on stimulants while flying a ship that needed far too many repairs. She shot a glance at the panel, and then flipped on the intercom. “Rawn, take a look at the starboard thruster.” She shook her head. Tried to push thoughts through a mind that seemed turned to mud. The ship yawed over as she overcompensated and she fought it back under control. She heard a squeal from the hatch as it opened. It had always reminded her of a ground vehicle’s brakes screeching just before an accident. She tried not to apply that metaphor as some sort of warning to her current flight. Her brother spoke from behind her: “I’m going to pack the escape pod. Anything you want me to throw in?” he asked. “What?” Mel craned her neck to look at him. The ship spun sharply and threw her against her straps and tossed her brother into the wall hard. She bit off a curse and struggled with the controls for a moment. It seemed to take an eternity to fight the ship back under control. “We’re going to lose the other thruster. The port thruster is in worse shape. What do you want me to put in the pod?” her brother asked. His calm voice made her clench her teeth. “We’re not abandoning ship,” she told him sharply. “I can land this thing.” It would be hard, though, with just one thruster. They couldn’t engage their warp drive in atmosphere, not without disengaging safeties that were there to prevent that. Even if we had time, she thought, it would be a stupid thing to do. The warp drive field would tear the atmosphere around them and if they hit anything in warp, the difference in relative velocity would not only kill them but quite possibly wipe out Dakota’s biosphere. “Freighter Kip Thorne, is this some kind of joke?” The speaker’s nasal, officious tone suggested she wasn’t amused. Rawn snorted. “I know the safe combo, I’ll grab our cash and some keepsakes. I’ll clear out your desk too.” He pushed his way back off the bridge. She turned off the radio and sat in the chair for a long moment as the small freighter bounced. Soon it would begin to tumble, she knew, without the guidance from the thrusters. She wiped her eyes; now was not the time to cry. The ship fell now, without anything to slow its descent besides atmospheric friction. Superheated air flashed across the hull and cast glowing flames across the cockpit glass. Mel sighed. She kissed her finger tips and touched the control yoke one last time, then unbuckled and left the bridge. She didn’t look back. 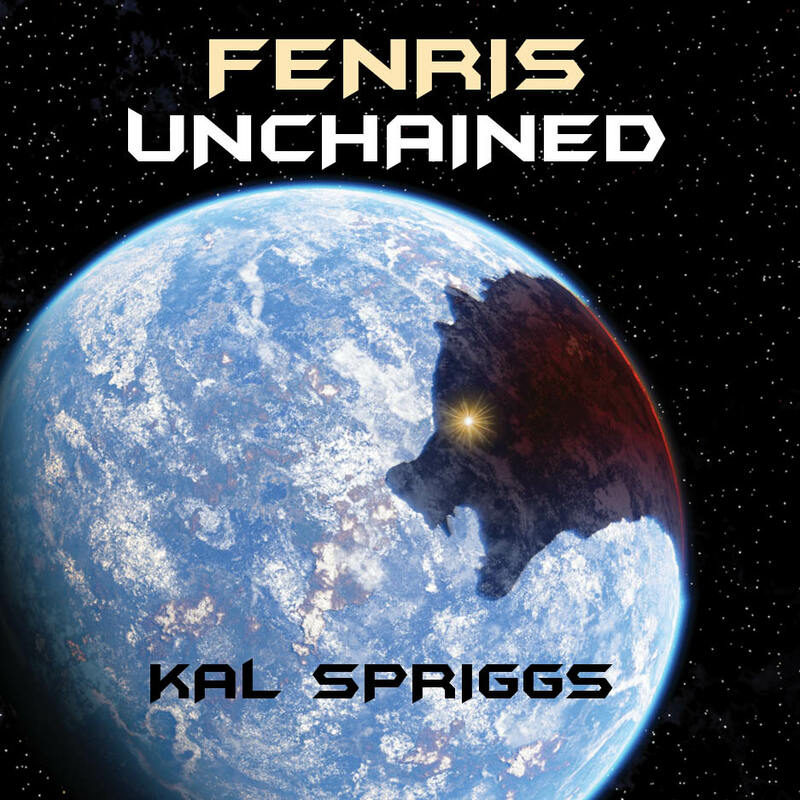 Fenris Unchained will be available tomorrow at noon (CST) from Amazon and Smashwords.